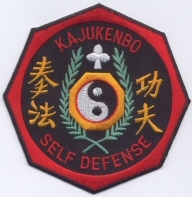 For more info on Kajukenbo please view the previous entry. We hope your week is going well and do not give up on those new years resolutions you can do it! Today's topic is KAJUKENBO. Started in the streets of Oahu, HI around 1947. Kajukenbo is an aggressive and very effective martial art form. Some people call it the art of dirty fighting even there blocks are known to be forceful strikes. Kajukenbo incorporates and is not limited to defense against (a): Gun, knife, club, different types of grabs and punches, multiple attackers, chokes, and much more. This form will not only teach you the quickest way to take down your opponent/attacker but will also teach you self respect, self discipline, respect for others, and how to balance your spirit, mind, and body. Here is one of the theories: "R.A.D. Recognize the situation you are in. Avoid confrontation if possible. Defend yourself if you have to." If you are looking for a great all around martial art form we recommend trying Kajukenbo. 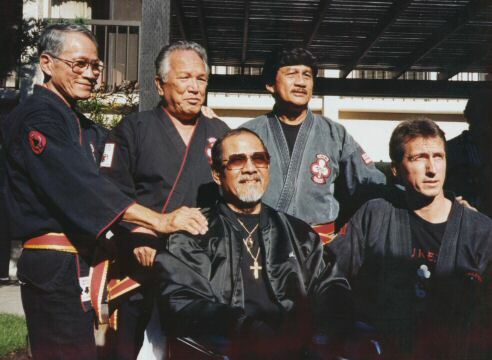 Here is a direct link to schools all around the world including Hawaii: Kajukenbo Schools. Many of the schools will give you a free intro lesson just give the school a call. If you have any questions please do not hesitate to ask. KC Martial Arts Supplies carries all the Kajukenbo gear! Online and in our store location. Judo - " The Gentle Path"
How is your week going so far? The weekend is almost here! Today's topic is...Judo! JU (gentle) Do (way or path) JUDO = "The gentle way." Judging by the photo above it does not look very gentle to me. After doing some research we found that Judo and Juijitsu were on in the same. Judo became its own form roughly around the late 1800's practiced and studied by this man named Dr. Jigoro Kano (the founder of Judo). Dr. Jigoro Kano took the striking from juijitsu to make Judo the Olympic sport it is today. 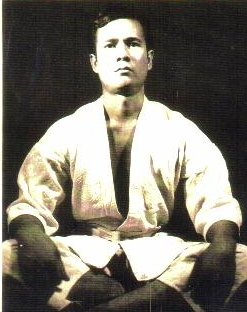 For more on the history of Judo please click on this link: History of Judo. Judo is made up of various sweeps, throws, pins, and several locks. Taking Judo will increase your burst power and ability to read your opponents body movements. One of our workers that does Kajukenbo shared with us his experience sparring against a Judo practitioner: "I have never been caught of guard so many times with the amount of sweeps he landed. It was like he knew were I was going to step next." If you are interested in taking Judo classes check your local schools and recreational centers chances are they have Judo classes. If not please visit: Onzuka.com. We highly recommend looking up Sensai Ray Imada. Great practitioner and an even better person. If you have any questions please let us know or if you have any insights about Judo please feel free to contact us or leave a comment. Thank you for stopping in! KC Martial Arts Supplies sells Judo Uniforms! Judo Uniforms @ KCMASUPPLIES online. Location: 45 525 Luluku Rd. Kaneohe, HI 96744. Leg Stretch Machine. Our leg stretcher is built of quality steel lined with durable vinyl wrapped foam for maximum comfort. With the new steering wheel crank and built in stop latch it makes it easy for you to meet and exceed your stretching goals. The Leg Stretch Machine goes a full 180 degrees! The back pad reclines to you liking and will also lay flat for storage purposes. The leg machine will not only help you to kick higher it will also help you stretch your back, hips, hamstrings, gluts, calves, and much more! A few of our employees tried it and loved it. "Easy to use, crank at my own will, and I feel stretched!" Come in and try it today! If you like it we will give you 10% off! Offer good though Jan 14, 2012. Promo code: kcma01012L. If you have any questions please do not hesitate to ask. Thank you for stopping in. Here is a link to more leg stretches that will leave you feeling great: Stretch Everyday . Shop Location: 45-525 Luluku Rd. Kaneohe. HI. 96744. New Years Resolution: Work out! 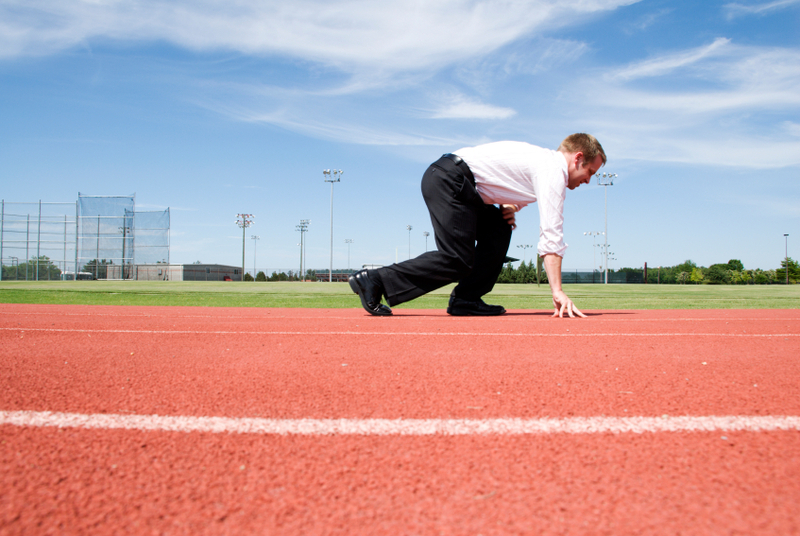 The question of the day is: Do you have new year resolutions and is one of them to work out? Now put it in a sentence: "With my favorite song playing, girl friend by my side (his motivation), and fitness goals in place; I am ready to get fit!" Immediately after that is said start doing some push ups, sit ups, or start running. Trust me you will feel better. Remember how we said getting fit does not require you to go to the gym? You can start in your office, at home, or in the gym. If you acknowledge that you want to get fit you will already be more conscience about what you eat, how you carry yourself, and how you live. There are many ways in getting fit and everyone is different. Here are a few ideas to consider: find a training buddy, try martial arts, yoga, zumba, try playing some of the sports you used to play as you were a kid, start biking, swimming, running, walking daily, stretching, ect...Please help us if you have anymore suggestions. If you have any questions or any suggestions please comment.